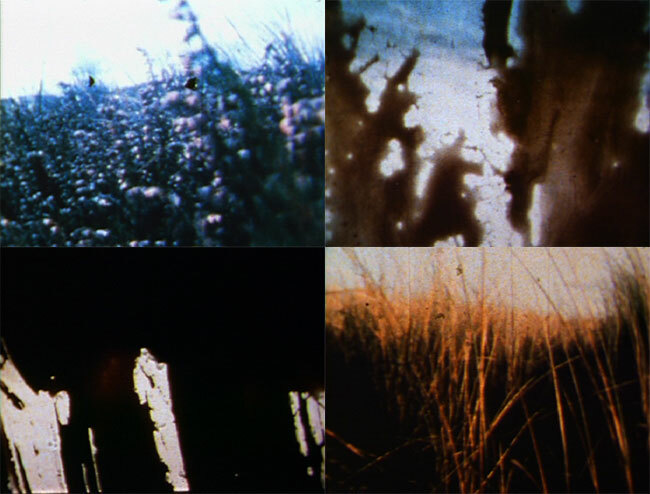 Reworked landscape imagery slides in a rhythmic pattern over the screen, accompanied by minimal violin music by the Danish composer Martin Hall. Images of the different landscapes that can be found on the island Terschelling are edited rhythmically. Overexposed, underexposed and out of focus sequences are used alongside stop-motion animation. The splices are painted over with black retouching fluid, producing an even faster rhythm. The total effect results in a superimposition between the materiality of the film and the represented landscapes.